Binahong is a medicinal plant that grows in lowland and highland and have many properties in various diseases meyembuhkan mild or severe. This plant has long existed in Indonesia but only recently have become an alternative for some people to be used as a natural remedy to cure or alleviate some mild or severe disease. Plants are said to have originated from Korea is consumed by the Vietnamese people during the war against the United States in the 1950s to the 1970s. This plant is also known among the Chinese as Dheng San Chi and has been consumed for thousands of years by the people of China, Korea, Taiwan etc.. 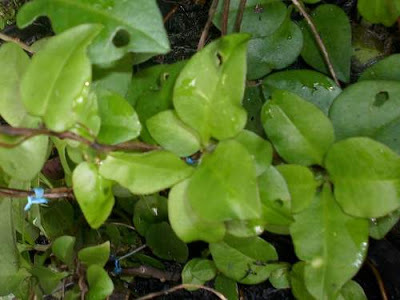 The leaves of the plant that is usually used as a natural remedy apart from the stems and tubers.